<li><strong>Record billable and non-billable time for a week.</strong> Tracking all of your time, and that of any support staff, can give you a better picture of what you’re actually spending your day doing. 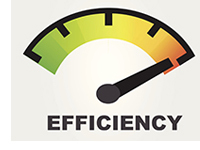 While it requires an initial – and <em>seemingly</em> inefficient – investment of time, the information you collect will help you streamline office workflow. </li><li><strong>Delegate non-billable activities to non-billable personnel.</strong> At a solo practice or a small firm, it might be common for attorneys to step in and do basic tasks as a courtesy. However, even things as simple as sorting the mail, making copies, or answering unscreened calls can cost you thousands in lost billing hours. Reclaiming just 15 minutes of un-billed time a day at a rate of $200/hour is an additional $12,500 a year (assuming 250 days at work). </li><li><strong>Utilize checklists.</strong> Many times, inefficiencies occur because the right information isn’t collected at the right time. <p style="margin-top: 0; margin-bottom: 7px;">In the next few weeks, schools around the state will receive information about this unique learning opportunity. Teachers will be encouraged to contact the State Bar Public Education Program Manager to request a local attorney or judge to visit their classrooms. We also encourage you to reach out to schools in your area to let them know about CourtEye. <p style="margin-top: 0; margin-bottom: 7px;">Want to increase your company’s visibility and boost your bottom line? Looking for a way to stand out from your competition? 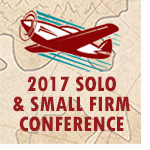 Then a sponsorship opportunity at the 2017 <a href="http://www.wisbar.org/wssfc/2017/Pages/default.aspx"><em>Wisconsin Solo & Small Firm Conference</em></a> could be right for you! </p><p style="margin-top: 0; margin-bottom: 7px;">WSSFC sponsors receive exposure before, during, and after the conference. A variety of sponsorship levels and packages are available, so you’re sure to find one to fit your needs and budget. </strong></p><p style="margin-top: 0; margin-bottom: 7px;">Student liaisons from both Wisconsin law schools are needed on the Family Law Section’s board. The positions begin immediately and conclude on June 30, 2018. Liaisons participate in Section board meetings (with teleconference options) and may participate in Family Law Section events. Student liaisons will receive leadership training and can take advantage of numerous networking opportunities. <p style="margin-top: 0; margin-bottom: 7px;"><img src="http://images.wisbar.org/Images/DigestEmails/JustForMems_grey_175w.jpg" alt="" width="175" height="78" align="right"/>As a State Bar member, you could be eligible for West Bend’s Association Plus<sup style="font-size: 12px; line-height: 0; ">®</sup> program. This program combines a variety of personal insurance coverages with special features and discounts. 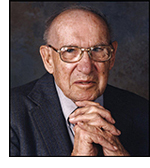 The cornerstone of Association Plus is the popular Home and Highway<sup style="font-size: 12px; line-height: 0; ">®</sup> coverage.